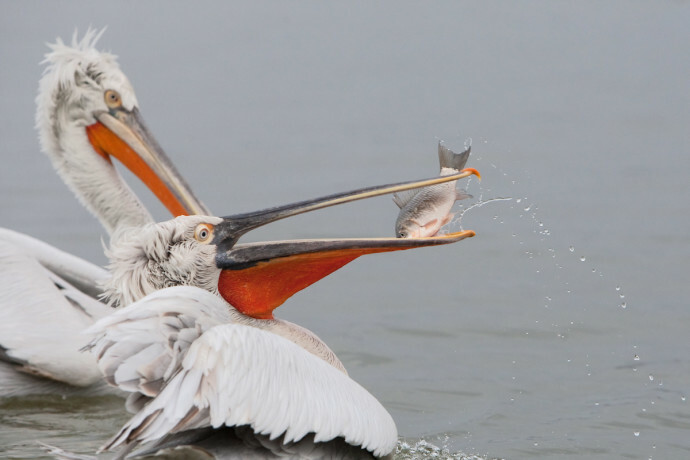 In winter, adult Dalmatian pelicans go from silvery-grey to a dingier brownish-grey cream colour. For us, the ice transforms everything. We are still. Barely breathing in a frozen atmosphere once animated and filled with the noise of boat engines and tourists. Gone too are the sounds of crickets and mosquitoes. In a way, we are isolated from the rest of the world. The main boat that connects Sfantu Gheorghe with Tulcea – our nearest big city – cannot ply the solid waters of the Danube.There is no way in or out. 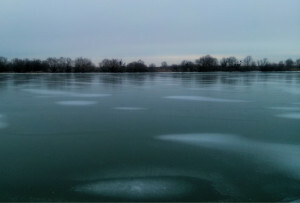 Sfântu Gheorghe Danube branch is shallow and sinuous, so the smaller tributaries freeze during extremely low temperatures. The deep freeze creates a strangely deserted environment. Walking down the same roads I take every spring, summer and autumn, the landscape is devoid of other human life. An ethereal blanket of fog covers the water and the houses and the gardens. I feel like I’m floating towards a new and exciting land. The fog reveals another side to the Delta’s innate beauty. A beauty that is all about Mother Nature. In this winter wonderland she overwhelms you. She owns you. You don’t want to disturb her. So you keep quiet and observe and slowly walk through the reeds and under the beautifully frozen branches. If you listen carefully, you can even hear her. Now is the time of the swans, the geese and the ducks. Flocks of white-fronted and greylag geese patrol the ice, occasionally dotted with their red breasted cousins. Flotillas of mallards are interspersed with those of tufted duck, pochard, red crested pochard, teal and goldeneye. Grey heron, great egret and great bittern can easily be seen beside the river’s thawing waters, while the Dalmatian pelican, pygmy cormorant and great cormorant are present too. White-tailed eagles gather together in small groups, keen-eyed masters of their avian realm. A unique site of the silent, frozen Danube Delta in Romania. We see otters emerge from under the ice, carrying fish in their mouth. Every piece of open water is a magnet for golden jackals, deer, wild boar, wild cats and myriad other animals. “The wilderness holds answers to questions man has not yet learned to ask,” said American photography critic and conservationist Nancy Newhall. She was right. The remote wilds of nature are the only places where we can truly be alone and ponder our existence. 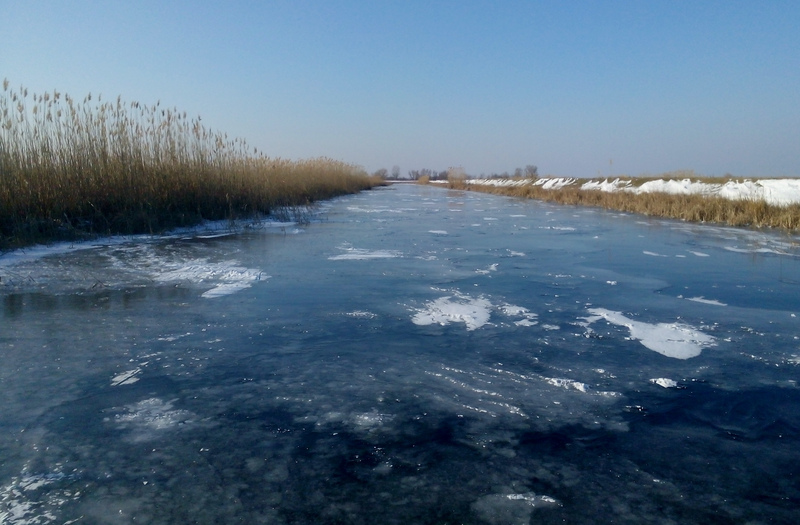 Locked in winter’s icy grip, the Danube Delta is such a place. Peaceful, cold and calm, there are no waves or fishermen here to disturb the supercooled tranquillity. Motionless, yet still alive, the frozen Danube is a mystery and a marvel that inspires us all.